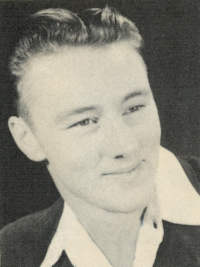 Obituary – Clark, James Wesley « Perry High School Alumni Association, Inc.
﻿Home Room President ’44-’48; Senior Class President ’48-’49; Junior Play ’47-’48; Annual Follies ’44-’45; F. F. A. Treasurer ’46-’47; F. F. A. Vice-President ’47-’48; F. F. A. Reporter ’48-’49; Wrestling ’44-’49; Cheer Leader ’48-’49; Senior Assembly ’48-’49; Perryscope Staff ’48-’49; Annual King Candidate ’47-’48; Baseball ’47-’49. 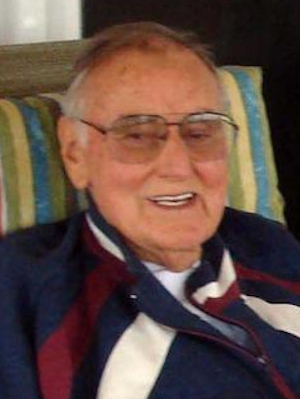 James Wesley “Big Jim” Clark, 81, of Perryton, Texas, died Friday, June 29, 2012. Services will be at 10:30 a.m. Monday in First United Methodist Church in Perryton with the Rev. Mark Metzger officiating. Arrangements are by Boxwell Brothers Funeral Home of Perryton. The family suggests memorials be to Perryton Activity Center. Jim was born May 29, 1931, in Perry, Okla., to Zelma and Harold Clark. He attended the University of Central Oklahoma in Edmond, Okla., and then served in the Korean War from 1952 to 1953. Jim and his cousin, Homer Clark, started Clark Dirt Contracting in Perryton in 1953. He married Betty Jo Mackey in 1959, and they moved to Perryton. Jim was involved with Perryton Jaycees, Chamber of Commerce, Masons, Shriners, Perryton Activity Center, American Legion, Elks Club, Veterans of Foreign Wars, Perryton Club and Interstate Bank, and he was an Ochiltree County commissioner. He was preceded in death by his wife; a daughter, Tami Clark Goodson; and a son, Mark James Clark. Survivors include a daughter, Cindy Adair and husband Carter; a granddaughter, Wesley Goodson; and a family friend, Scott Allen.